"Oh, Dakuwaqa!" 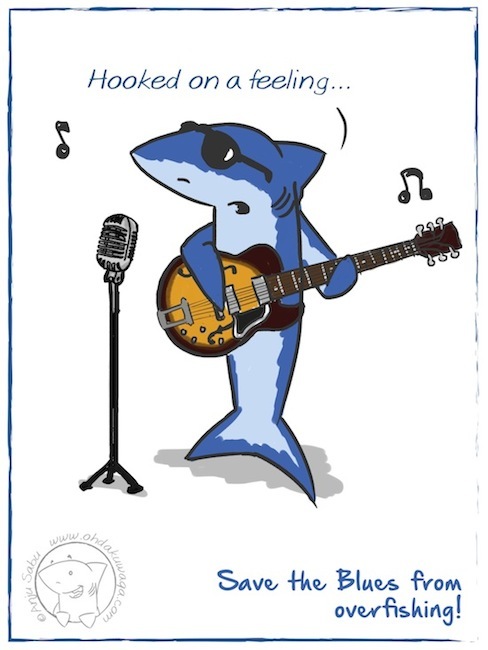 - The Shark comics and cartoons: Hooked on the blues! The Shark Trust told me about several sharks that are endangered due to overfishing and I worked on a couple of sketch ideas, this being one of them. 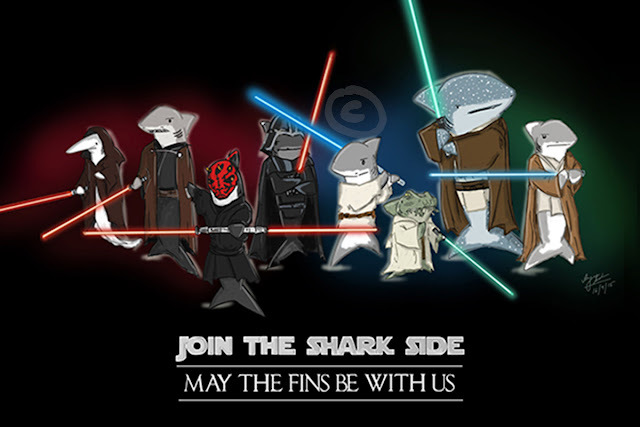 Blue sharks are adorable - stop overfishing! Check out the "No Limits? No Future!" campaign to know more.